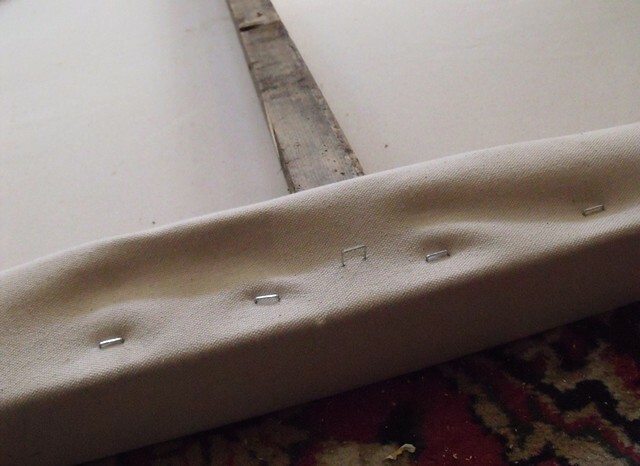 When I start stretching the canvas with the pliers, the tension increases and the initial staples tend to pop out. If they don't, a little persuasion with the screwdriver usually takes care of them. I follow the standard procedure, stapling from the middle of each side, and working my way out towards the corners, not letting any one side get too far ahead of the others.